I’m proud to announce that I have been invited by VMware to present at VMworld US 2018 in Las Vegas, where we’ll celebrate VMware’s 20th birthday with 20,000+ attendees. I have been asked to host a workshop on virtualizing Active Directory Domain Services with Deji Akomolafe, and present a 60-minute break-out session with Matt Liebowitz. VMworld is a global conference for virtualization and cloud computing, hosted by VMware. It is the largest virtualization-specific event. Each year, there is a VMworld US and a VMworld Europe event, addressing VMware’s two main target geographies. VMworld US 2018 is hosted at the Mandalay Bay Convention Center in Las Vegas, Nevada for the fourth consecutive time from Sunday August 26, 2018 to Thursday August 30, 2018. Previously it was hosted in San Francisco and Los Angeles, after its inaugural edition in San Diego in 2004. On Sunday, we will host the first ever VMworld Active Directory Domain Services (AD DS) Workshop. While other technologies like Microsoft SQL Server and SAP have had Virtualized Application Workshops for several VMworld events as additional VMworld packages, this is the first of its kinds! Active Directory Domain Services (ADDS) is one of the most critical components of a Windows IT infrastructure. VMware’s Microsoft Applications Virtualization Lead, Deji Akomolafe, and one of the leading ADDS experts in the field and I will deliver this technical workshop. Together, we take you through the journey of virtualizing AD DS, avoiding common pitfalls, and recovering from common failures and problems associated with running AD DS in your enterprise. Demos include hands-on troubleshooting, correction, stabilization, and optimization of a defective AD DS forest and multiple domains. Topics will include virtualization and the AD DS database, replication, time synchronization and convergence, fault domains, common challenges, and general best practices. Virtualize Active Directory the right way! 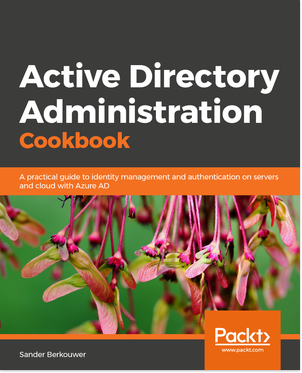 Active Directory Domain Services (ADDS) allow organizations to deploy a scalable and secure directory service for managing users, resources, and applications. Virtualization of AD DS has been supported for many years now, but has required careful management to avoid pitfalls around replication, time management, and access. While Windows Server 2012 provides greater support for virtualization by including virtualization-safe features and support for rapid Domain Controller deployment, Windows Server 2016 added more virtualization and cloud-focused security enhancements with features such as the Host Guardian Service and Shielded VMs. In this session, Matt Liebowitz and I share our many do’s and don’ts and show VMware vSphere’s enhanced security feature, VM Encryption for vSphere – VMCrypt, which provides persistent, OS-agnostic VM data encryption across the virtual infrastructure. Join me to get your Active Directory Domain Services virtualization questions answered. You and a small group of your peers can interact directly to gain the deep, hands-on experience you need. This is me white-boarding, answering your toughest challenges and providing best-practice advice. Join me while I take the stage with Deji and Matt or experience my fabled white-boarding skills in a 1 on 1 setting. 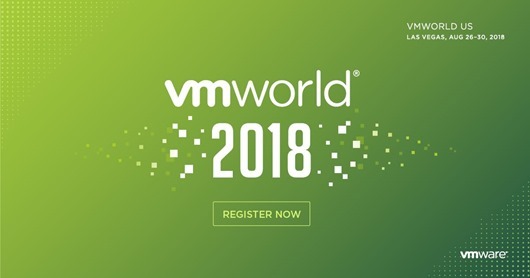 Don’t miss out and register for VMware VMworld US 2018.